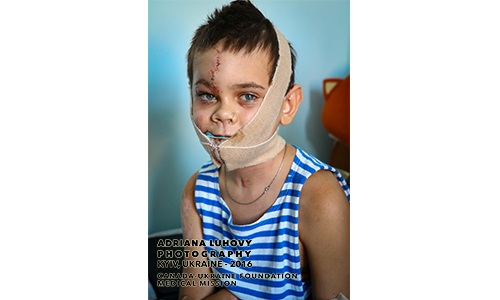 Eleven year old Mykola went out to a field to play with friends and his younger brother Danylo, where they spotted an unexploded rocket propelled grenade. Being curious and thinking it was a toy, they began to play. It was only a matter of time before it went live. 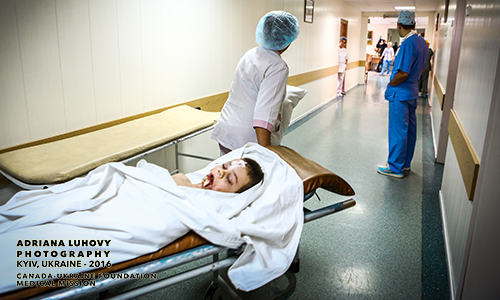 The explosion killed Mykola’s younger brother Danylo instantly and injured his friend. 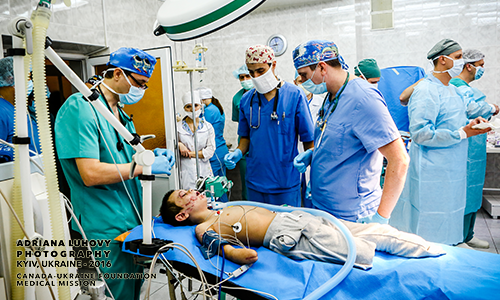 Mykola barely survived the blast sustaining the most injuries. He lost both legs and an arm. 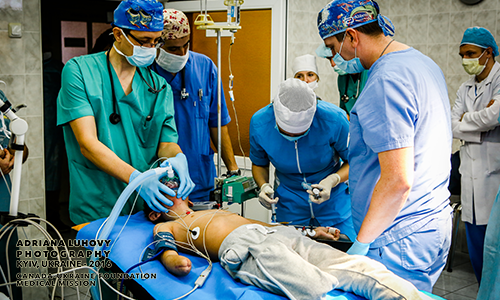 After a few crucial surgeries at the military hospital in Kyiv, The Canada-Ukraine Foundation and the Canadian team knew they had to do more. 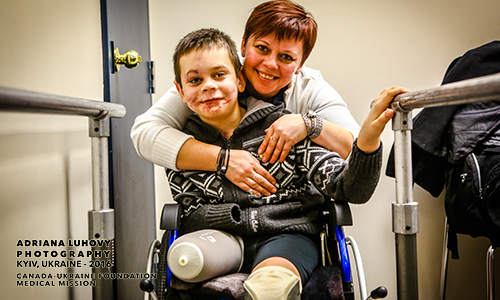 Working tirelessly to ensure Mykola further support and a brighter future, they connected with the Shriners Children’s hospital in Montreal, which graciously answered their call. 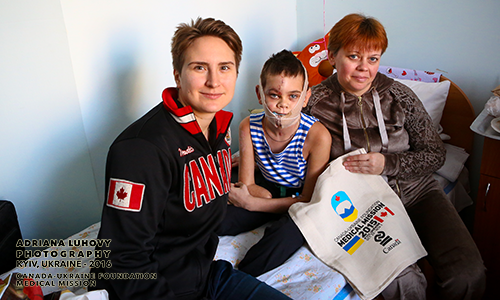 Mykola and his mother flew to Canada for the first time, where Mykola is recovering and receiving world-class care. 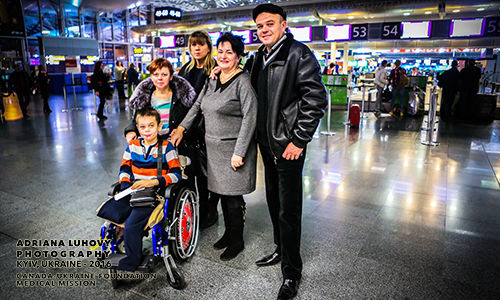 Learning to stand and walk, Mykola is beating all odds. For more information view his official website and Facebook page.